Stock up on fresh local garlic when you can. It will be readily available and reasonably priced at your farmers market when in abundance. Garlic is also super easy to grow either in a small plot in the garden or a large open pot. Prevention and Treatment of Infections and Enhancing Immune Function – for the treatment of many common infections: bacterial, fungal and viral. Also useful for the prevention of the common cold. Cardiovascular Tonic – for the prevention and treatment of high blood pressure, atherosclerosis, blood cholesterol and triglyceride levels. Cancer Prevention – compounds in garlic have been linked to cancer prevention, enhancing the immune system function. Antidiabetic – aids in decreasing blood insulin and increasing insulin sensitivity. Liver Tonic – compounds in garlic are linked to protection of the structure and function of the liver. This is one fizzy ferment so if you have a fermentation lock use it here, otherwise use a regular jar, however, be prepared to burp it once or twice a day. Keep it on the kitchen sink, out of direct sunlight so that you remember. Use a sterile jar, fill 1/2 – 2/3 full with raw garlic cloves. Pour honey over the top so that the jar is 3/4 full, stir the cloves through the honey to make sure they are thoroughly coated. If your honey is too crystallised to mix with the cloves, stand the honey container in a bowl of warm water until it softens enough to use – don’t worry if it is thick, it will liquefy very quickly as the ferment ramps up. Place the jar on a plate to catch any overflow, out of direct sunlight. You will need to stir and burp your ferment twice a day until the active fermentation period lessens after which you can do this once a day. Stir the ferment with a clean stainless steel spoon and use another one to strip excess honey from the first spoon back into the jar. After 3 – 4 weeks your cloves will be golden brown and the active fermentation period will be over. Sore the jar in the fridge or a cool dark place for up to a year (ours never lasts that long). You can take the honey and the cloves to prevent and treat bacterial infections, especially those related to upper respiratory tract infections. Swish the honey up around the opening where your nose drains into the back of your mouth. Swishing like this can work a treat when you have a sinus/nasal infection. Chewing on the fermented cloves is also great for bacterial infection of your gums/mouth. You can take up to 3 – 4 teaspoons of honey and 3 – 4 cloves a day when you have an acute infection. 1 – 2 cloves a day and a teaspoon of honey is also good general health tonic and preventative. There are many medications that can interact with medicinal quantities of garlic. Check with your healthcare practitioner before taking larger doses. Children can have half these doses. Infants under three years of age should only be administered these preparations under the supervision of a health professional. Honey garlic mash is fast and easy. You can take it to prevent and treat bacterial infections, especially those related to bacterial upper respiratory tract infections such as sinusitis. 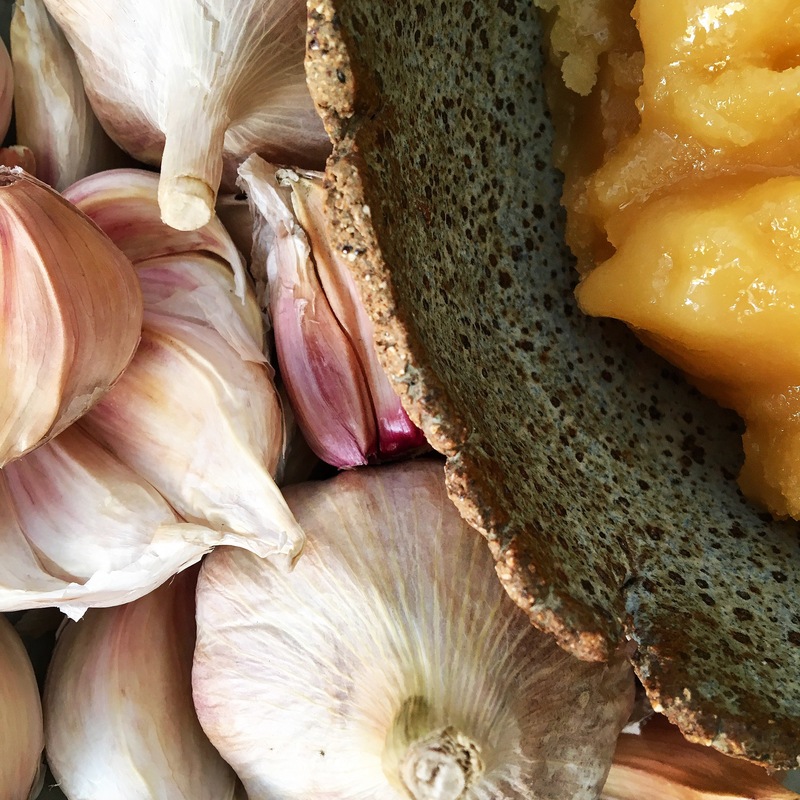 If you are not a super fermenter/super organised person and do not have a ready stash of fermented garlic in your pantry, never fear … garlic mash is here!! Mix garlic with honey and store in a jar in your fridge until used up or for up to two weeks. You can take the honey garlic mash to prevent and treat bacterial infections, especially those related to upper respiratory tract infections. Swish the honey up around where your nose drains into the back of your mouth. This can work well for sinus/nasal infections. you can also swish it around your mouth for bacterial infections of the gums or mouth. You can take up to 3 – 4 teaspoons of honey when you have an acute infection. A teaspoon of honey is also good general health/immune/cardiovascular tonic and preventative. There are many medications that can interact with medicinal quantities of garlic. Check with your healthcare practitioner before taking larger doses. Children can have half these doses and children under three should only be administered these preparations under the supervision of a health professional and under 6 months, not at all. The fresh garlic in this preparation can be quite spicy so make sure you do not take it on an empty stomach. If you do find it burn a little you can take some cow or coconut milk to relieve the sensation. Enjoy your Honey Fermented Garlic and Honey Garlic Mash! 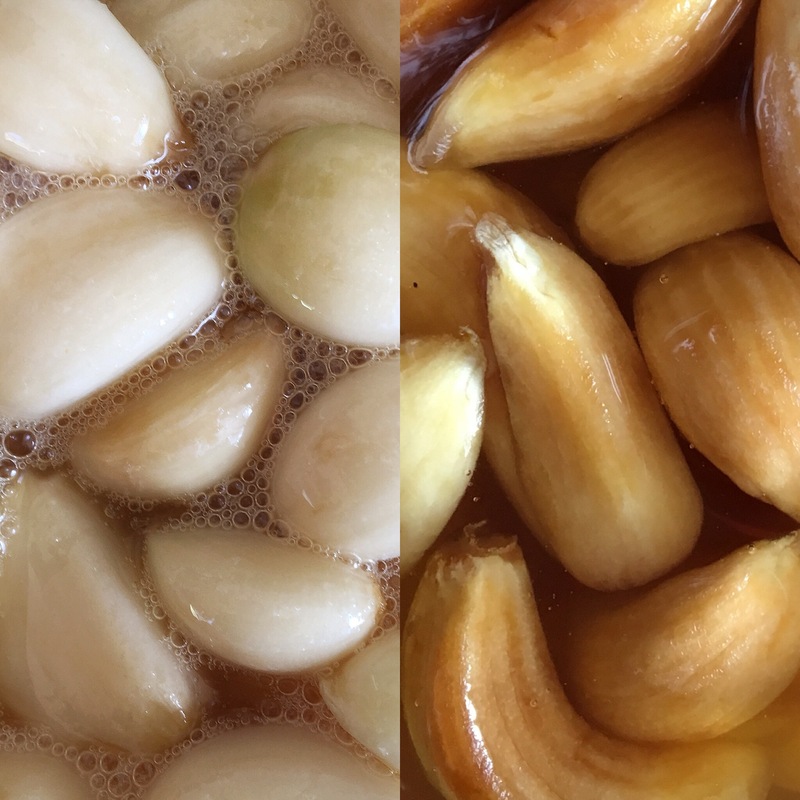 Do you have any favourite tricks for getting more raw garlic into your day? Hi Sarah. I have heard of fermenting garlic in honey before, but never actually tried. Thanks for sharing this info. Really interesting. Glad to connect on Blog with Pip. This sounds incredible! I’m a garlic fiend. Seriously, you’ll find me sniffing my fingers long after I’ve chopped some up. Great to know more about the medicinal benefits too! Yum. You will love it! I am the worst offender for garlic breath. Love me, love my garlic breath I say! !